Note from racketboy: I’d like to thanks our newest contributor, Zen Albatross, for his personal, yet entertaining look into one of the most influential games in his life, Mario Paint. I’m guessing he is not the only one that was impacted by this gem from the 16-bit era, so I hope you all enjoy reading this as much as I did. Long ago, before the thought of becoming a professional artist had ever entered my addled young brain, I drew Mario. I drew Mario a lot. I drew him with crayons. I drew him with colored markers. I drew him at times when I wasn’t allowed to draw him, such as Story Time in my Kindergarten classroom – And even late at night, using the hallway light for illumination, quickly feigning unconsciousness whenever my parents came up the stairs. To me, Mario was an enigma – An endless vortex of creative energy. 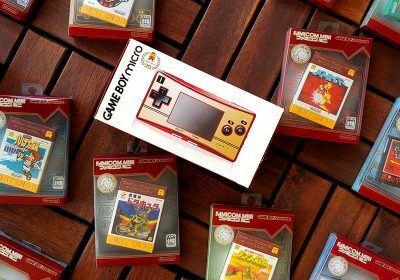 You see, I never had an NES growing up. Crayons and colored markers were all well and good, but with this burning passion to create, what’s a kid with a hyperactive imagination and an unyielding fascination with video games to do? 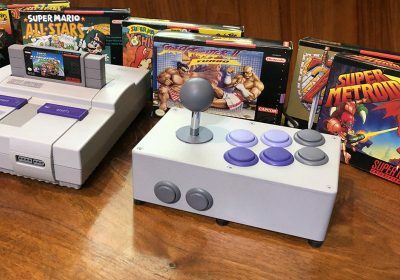 Then, on my 8th birthday, I got a Super Nintendo. I remember not being too enthused about the game at first. After all, at the time I had the seemingly endless adventures of Super Mario World and Zelda 3 to keep me busy. The gift almost immediately made me think to myself, “Oh. So this is suppose to encourage me to keep drawing, right? I see what you did there, Mom & Dad.” Little did I know that this 5.5” cartridge (and the mouse peripheral that came with it) would essentially be the foundation of my creative career. Before Photoshop, before Paint, before I had ever even used a computer, Mario Paint became the very first time where my creativity and my love for video games came together in sweet, 16-bit harmony. Right off the bat, let’s kick it off with one of my favorite features: The Music Composer. I grew up in a musical family. My mother has a degree in Music Ed, my father is a professional Trumpet player who also teaches Elementary School Concert Band and my brother plays Alto Sax and just finished his first year at Crane School of Music. Under my father’s tutelage, I started playing Trumpet and learning to read music at around the same time that I got my Super Nintendo. It almost goes without saying, but yes: The first piece of music I ever wrote was made in Mario Paint. Here I was – 8 years old, writing music using a video game. Needless to say, this resulted in a bit of culture shock for my father, who was nevertheless pleased with my musical endeavors. Looking back from the year 2008, I think that one of the greatest testaments to the Mario Paint music tool is that, well… people are still using it. The charming simplicity of the feature was even valued enough to warrant some people remaking it for home computer use as well. That is not to say I spent all of my time in Mario Paint using the music tool. 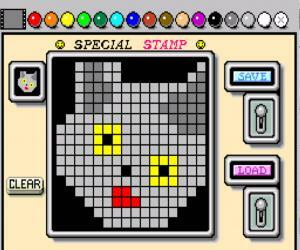 In fact, I probably clocked in the most hours using the Stamp Creator. This would be my very first experience with pixel art. I simply can’t express how elated I was, as a kid, being able to actually create the very same graphics that are used for the console on which I was playing. Mario Paint took my appreciation for video games to a whole new level by giving me control over the very building blocks of the SNES itself. Unlike some other creativity-based games, Mario Paint did far more than give you a couple templates and leave you on your merry way – It encouraged you to be creative and make your own unique compositions. This proactive and encouraging attitude toward creative freedom is something that I find to be, for the most part, severely lacking in the games of today. 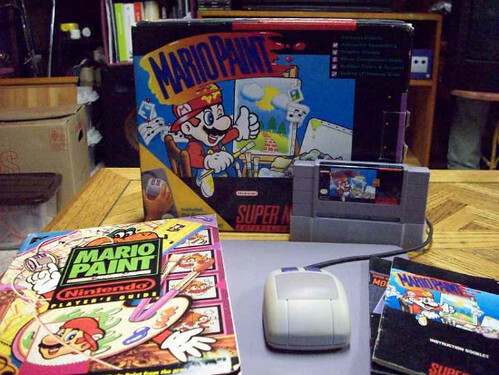 Like many games of its kind, some say that Mario Paint isn’t really a game. 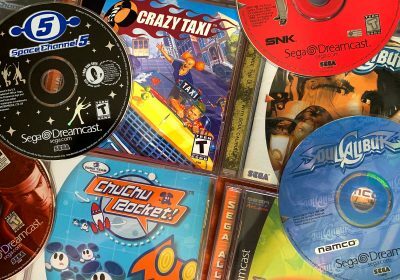 I won’t say that this is completely false, but nevertheless, I still maintain that there should always be a place for creativity-centric software within the realm of video games. Mario Paint came along at the perfect time and did something for me that I can say of no other game: It catapulted both my passion for art and my lifelong love for video games — And if 30 years from now a young kid can play a game on his Playstation 7, Xbox 1080 or Nintendo VirtualRealityMachine that influences him or her to adopt a creative lifestyle, I’ll be a happy camper. So now after a decade and a half, I’m back to making pixel art. Even though it’s not with Mario Paint this time around, everything makes a bit more sense to me. I’m now an artist and a gamer, and I realize that all of this might not have happened if it hadn’t been for that 16-bit brick of gray plastic. 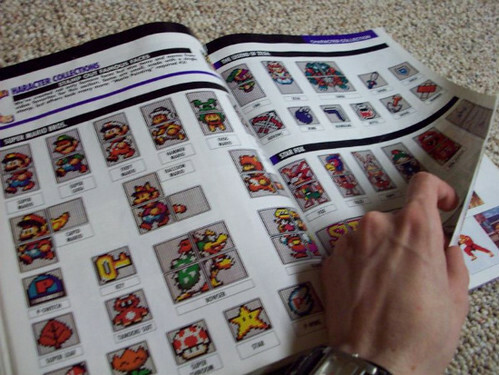 I want that awesome mario paint strategy guide at all cost, LOL! What a blast from the past… remembering that Strategy guide was the bit that gave me the “feeling” of what it was like as a kid. That guide was the absolute BEST! I wonder if I still have it kicking around in a box at my parents place??? It’s great when something that you love as a kid shapes you and turns into a career. We got our first computer when I was 14-15, Final Fantasy 7 inspired me to make my first website, then I made a modestly popular (at the time) Neon Genesis Evangelion site. I’m now 26 and a full time Graphic Designer. There’s a saying that goes: “Do what you love and you’ll never have to work again”. It’s cheesy but true. I spent hours on this game as well. 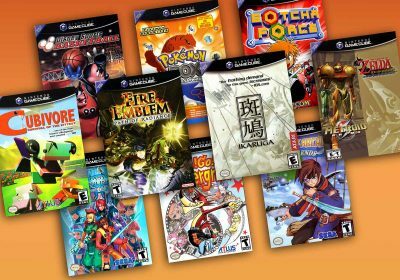 I remember that strategy guide. I used to get into hooking up the VCRs and making full animated vids. So cool. And… the music of your senior thesis project is AWESOME! 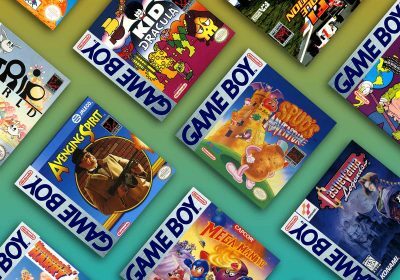 SNES rocked myt world in so many ways when I was a kid too. I dont think its all lost on the creativity front, user generated content based games that encourage creativity are emerging again – littlebigplanet springs to mind. Your senior thesis project was absolutely amazing. I truly loved it. Did you compose the music? Wow, best thing I have seen on the net all day. wow, thanks for reminding me how awesome this game was. i’m sure you realize you left out the flyswatter game (not all that creative, but made mario paint a little more well-rounded) and the background painter, but still very well done. the music creator and stamp maker were awesome, and i definitely had the guide as well. 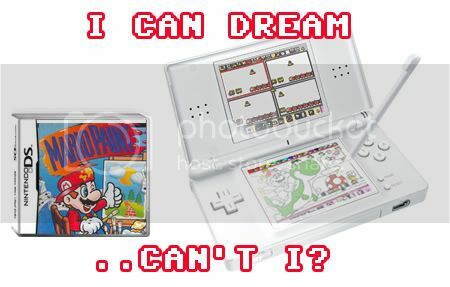 OMG dude, who didnt LOVE Mario Paint! It’s amazing how many people still use mario paint. Not to mention that Homestar Runner got his start on Mario Paint. MP introduced me to sequencing software, spawning an interest in taking up ImpulseTracker and its ilk, and leading me to the career in music video games I have today. Definitely a groundbreaking program, deserving of recognition and hopefully a modern-day update. I LOVE the song on your project. I’ve been playing it over and over for the last half hour! I can’t stop listening to it. Nice! I got Mario Paint for my 8th birthday. I believe I was in 2nd grade. I hope they do make a DS remake..
Yeah i love the song in your senior project its amazing. Is there some way or somewhere i can get it? 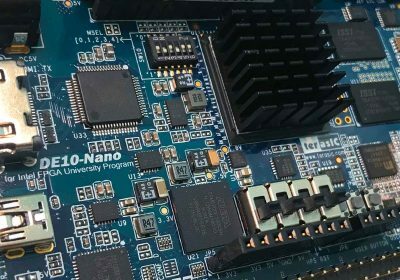 I really enjoyed this article and noticed at the end on your final project that it said spamtron. After researching a tad, i found the title of that song. Find this song and get it, it’s super duper relaxing and a joy to listen to. Once again, great article and awesome thesis project. I just love the 90’s… I love the music I love the cars, I love everything about it… every day I wish I could go back to the day my time-machine was stolen. Man, this was my top favorite of the SNES. My grandparents got me a copy for my sixth birthday (which I still have around here somewhere- the mouse doesn’t work anymore, though). I used to draw all sorts of things and record them onto a tape with my VCR. 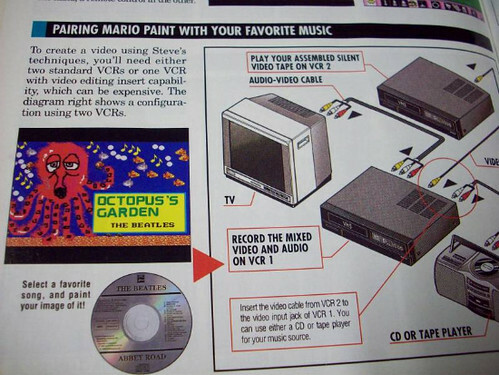 A long time ago, I heard that Nintendo was going to develop a Mario Paint for the N64, with rumored features such as a 3D scene creator, but that never happened. Thanks for all the kind words, ladies and gents! Lovely heartfelt post, you’ve made me look at this game in another light. All the best with your future art projects. That senior thesis project of yours is one of the most beautiful and inspiring things I’ve seen these days. For me, it was the C64 and EA Movie Maker. You made a series of sprites on one page (using a 3 color pallet) and a background. There was some canned music and sound effects too. It also showed you how to hook up a VCR to create movies. I ‘played’ that for hours everyday. I’ve now been working as a 3d animator, first in games, then in video for 15 years. Wow, what a great article! Thanks for sharing your career. It was a blast to read! P.S. I can’t believe i just got rickroll’d in 16 bit. Hear hear on the cart that launched a thousand digital art careers. Mario Paint jump-started got the Homestar Runner franchise: http://www.hrwiki.org/index.php/Super_NES.